Refer official Ace Golf Balls Website to view full Terms & Conditions. Finding the right quality golf ball can be sometimes difficult. Also, it is considered to be an expensive sport with green fees, lost golf balls, and new gear. But, at Ace Golf Balls, you will only get the best products at the minimum cost possible. Here, you will get the popular brands like Titleist, Callaway, Bridgestone, Maxfli, Hogan, and Chromax. Moreover, you can browse through the collection of bags, gloves, clubs, hats, shoes, shirts, etc. While purchasing from here, you can save more on your order total. For that, you need to apply Ace Golf Balls discount codes at the time of placing the order. Before placing an order, visit the special offers section from the navigation bar. Here you might get Ace Golf Balls vouchers, bulk order discount, etc. You might find a good bargain to save money on your needed order. If you want the regular update about the latest Ace Golf Balls discount codes and deals, new golf gear, subscribe to the newsletter. You can also follow it on Facebook, Twitter, and Instagram. If your shipping address is of the UK Mainland your order will be eligible for free standard delivery. Moreover, it will take 2-3 working days to deliver the parcel to your doorstep. If you need your order urgently, opt for express delivery. It will cost you £5.99 extra on your order total but then you will receive the order on the next working day. 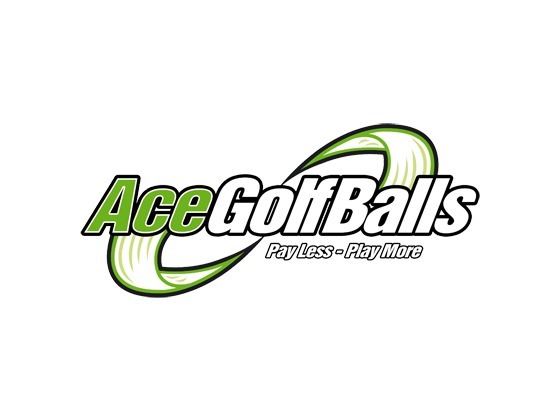 How to Redeem Ace Golf Balls Discount Code? Browse through your preferred section on acegolfballs.com and check out amazing golf products. Drop all the products you are planning to purchase. Copy a suitable Ace Golf Balls discount code which is giving a maximum discount on your cart subtotal. Now, come back to your shopping basket and look for a space asking prom code below the cart summary. Paste the selected code here and you will see an immediate reduction on your subtotal. Proceed to checkout and provide your personal information and then shipping details. Complete your payment to confirm your order.